1958. 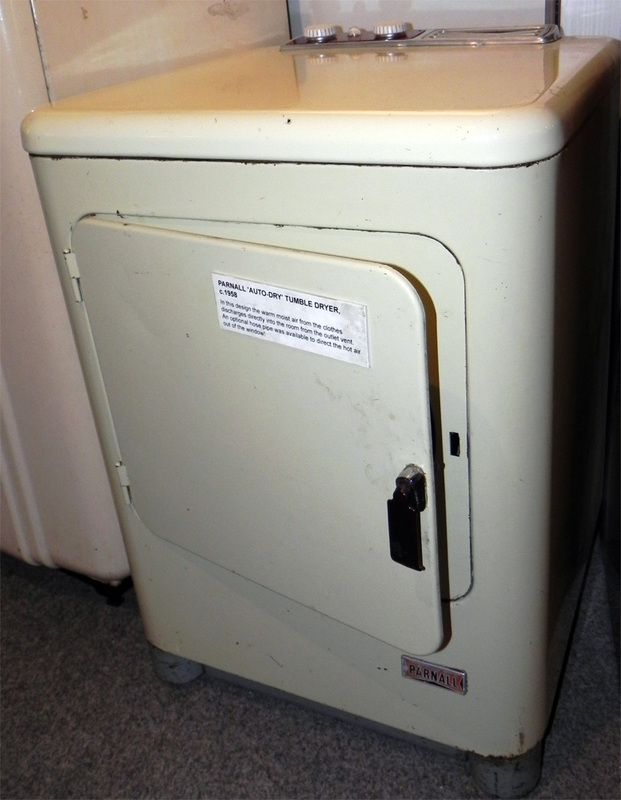 Auto-Dry tumble dryer. Exhibit at Amberley Working Museum. 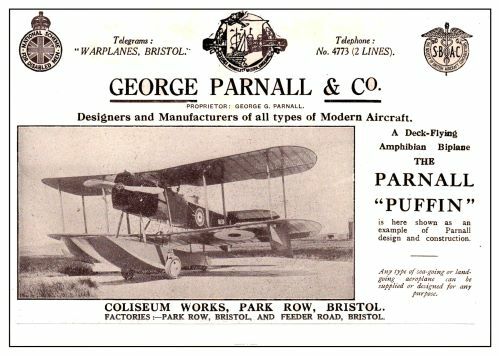 George Parnall and Company, aircraft manufacturers, of Coliseum Works, Park Row, Bristol, and of The Aerodrome, Yate near Bristol (1937). 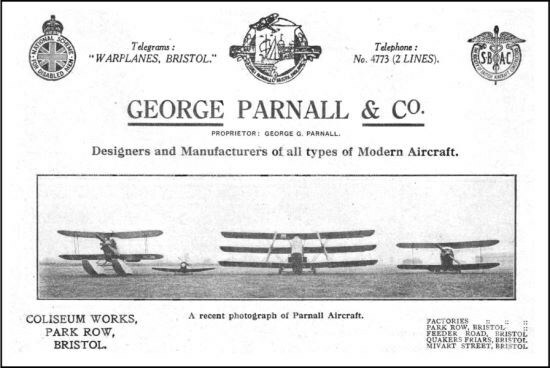 There is a separate entry for the Parnall Aircraft models. 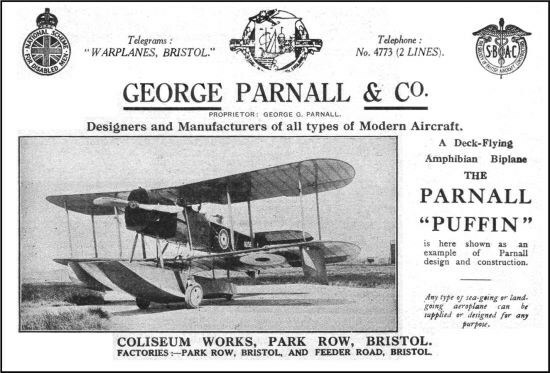 1919 With the discontinuance of the aircraft department of Parnall and Sons by W. and T. Avery, George Geach Parnell formed a new company, George Parnall and Co with a handful of employees from Parnall and Sons, including Harold Bolas as Chief Designer; at the Coliseum Works in Park Row, Bristol. By the mid 1920s it was clear that an aircraft factory in the middle of a town was less than satisfactory in so far as test flying was concerned; some of the aircraft made their first flights from Filton. 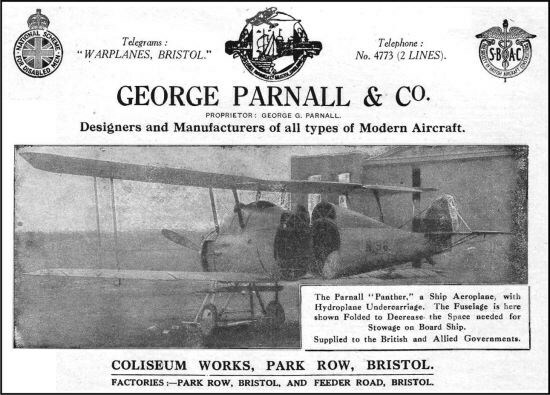 Accordingly in 1925 the firm expanded by acquiring the buildings and aerodrome at Yate, then in south Gloucestershire, where hangars were built beside a grass aerodrome. Rumour has it that money was so tight that George would only allow a central strip for the runway to be mowed as he needed the profit from the hay crop! 1923 Plover - Single-seat carrier borne biplane fighter. 10 built in 1923. 1929 Harold Bolas left Parnalls and moved to the USA. In 1929 Parnall built a cabin monoplane called the Hendy 302 for Capt. Edgar Percival to his specification at his expense. Both Percival and Basil B. Henderson contributed to the design (Henderson researched the cantilever wings) together with H. A. Miles who worked on stressing. Percival flew the aricraft in the 1930 King's Cup Race. Only one prototype was built but it helped to introduce the low-wing cantilever form of aircraft design. Henderson later developed another monoplane, the Heck. Carried out work for various aircraft manufacturers including an autogiro for Cierva Autogiro Co, and sub-contract for Fairey Aviation Co, Blackburn Aeroplane and Motor Co, Westland Aircraft Works and Supermarine Aviation Works. c.1932 H.M.Submarine M.2 carried a small biplane, the Parnall Peto, in a watertight deck-hangar. 1932-5 Carried out development of a general purpose aircraft, bomber and torpedo carrier for the Air Ministry; trials were carried out in 1935. 1933 Designers and consructors of military and civil types of aircraft. Works: Yate Aerodrome, Yate, Glos. 1935 Parnall acquired the patents, assets, etc of both Hendy Aircraft and the armaments firm of Nash and Thompson. 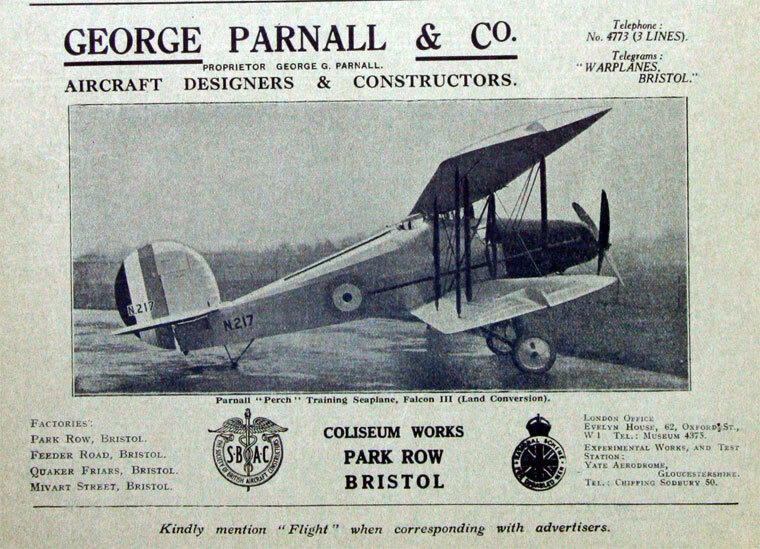 A new public company was formed for the merge entities, called Parnall Aircraft Ltd.
1936 George Parnall died (aged 63). 1939 The final Parnall aircraft was an open two-seater trainer derivative of the Heck called the Parnall 382 or the Heck 3. It first flew in 1939 but no order was forthcoming. 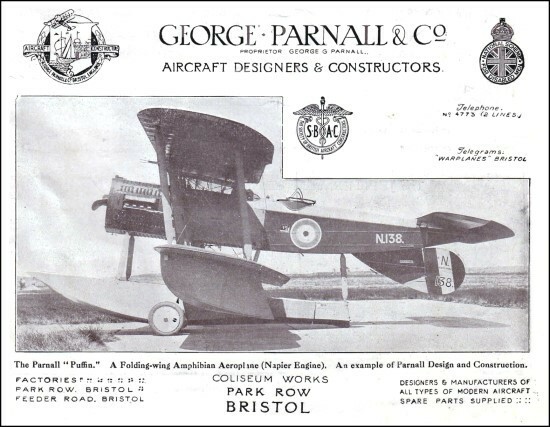 It was to be the last Parnall machine to fly, after which Parnalls turned their attention to producing aircraft gun turrets to Archie Frazer Nash's design. Powered Mountings held the rights to the Frazer-Nash patents for tanks and armoured cars (Parnall already held the rights for aeronautical purposes); Magnal Products had been formed to safeguard the supply of light alloys, from a foundry near Bristol; Yate Development Co was a housing concern, to provide living facilities for the employees. 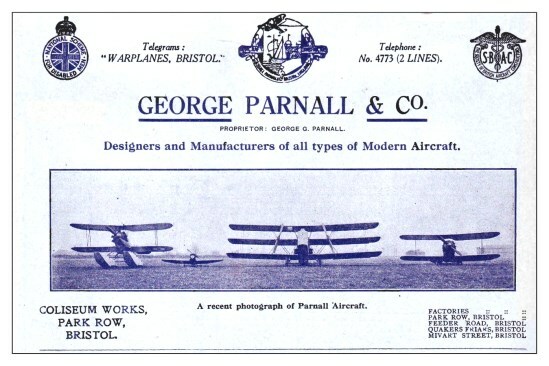 1946 Parnall Aircraft Ltd was renamed Parnall (Yate) Ltd.
1948 George Parnall and Co advertised as specialists in store planning; craftsmen in wood and metal. 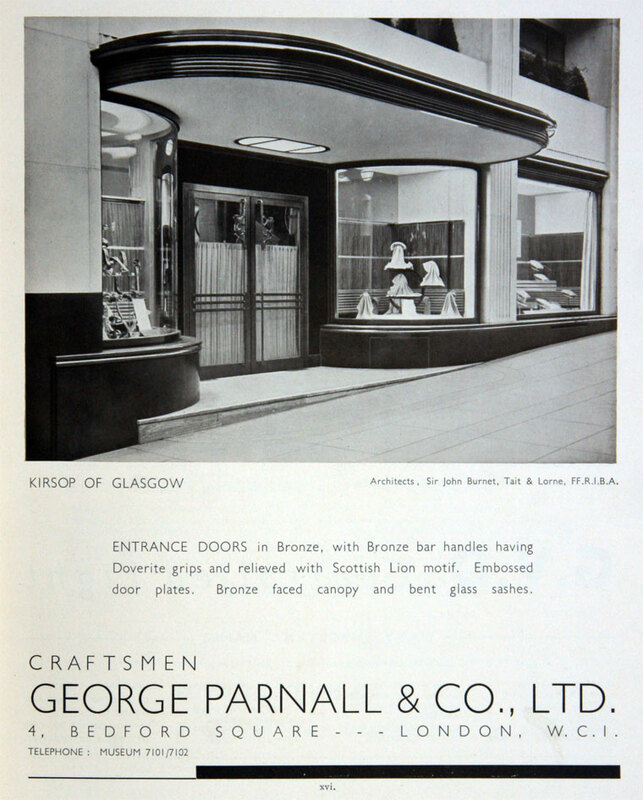 1953 Acquired Ewart and Son . 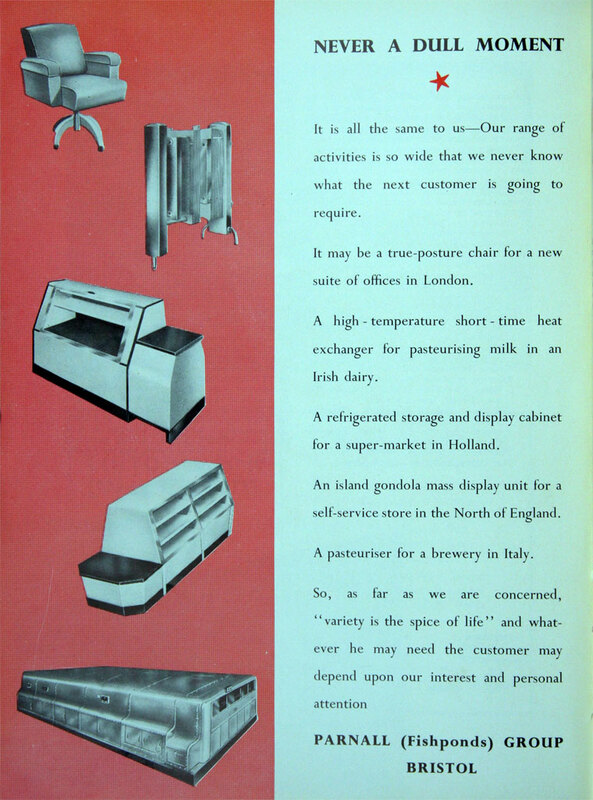 1955 Acquired Thor Appliances Ltd from Thor Corporation of Chicago; for some years Parnalls had manufactured Thor automatic washing machines, distributed by Thor Appliances. 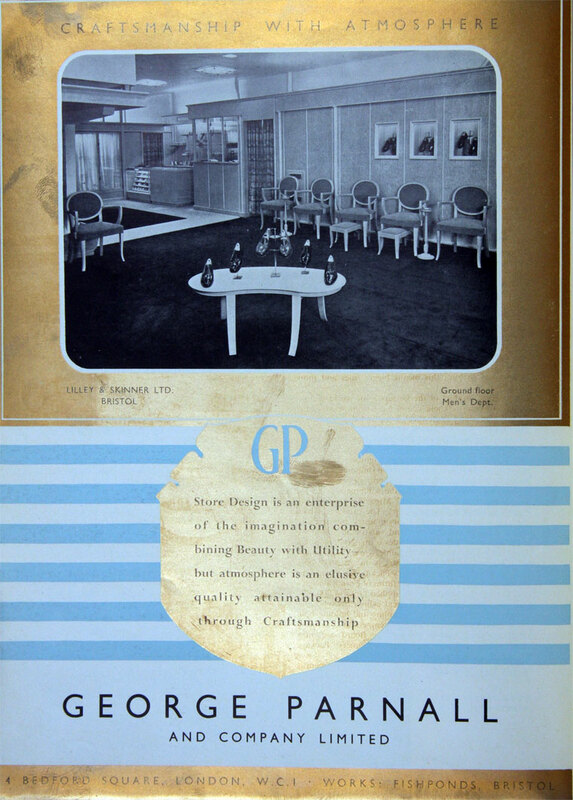 1956 George Parnall and Co listed as suppliers of furnishing equipment for aircraft. 1958 Radiation acquired Parnall (Yate) Ltd.
1961 George Parnall and Co, of 4 Bedford Sq, London, were specialists in ship interiors. This page was last edited on 3 April 2017, at 16:15.